The history of the Bou el Mogdad is of a mythical destiny full of twists. 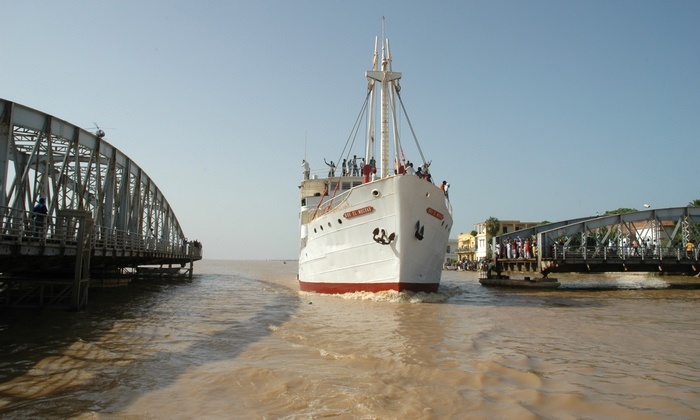 First built in Holland for the “Messageries du Sénégal”, the Bou el Mogdad was ensuring, from 1950 to 1970, the transport of goods and people between Saint-Louis and the North of the country in the river region. This included transfers via Richard-Toll, Rosso, a border city between Mauritania and Senegal, Podor, Kaedi, Matam, Bakel and finally up to Kayes in Mali. 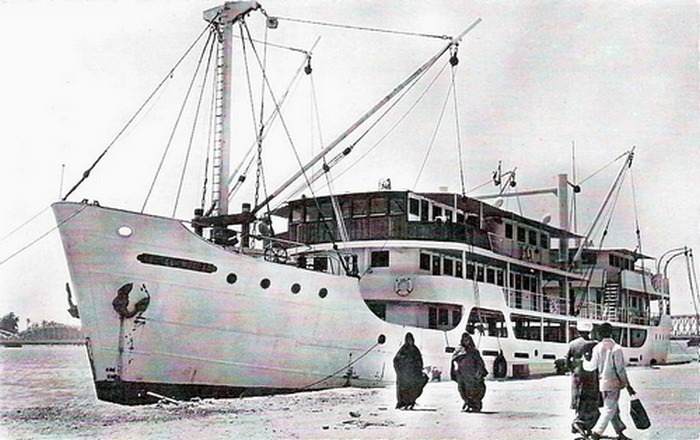 At that time the Bou el Mogdad represented an essential tool for the transport of mail, food, drinking water and raw material to the colonial trading posts as road and railway transport were inexistent. 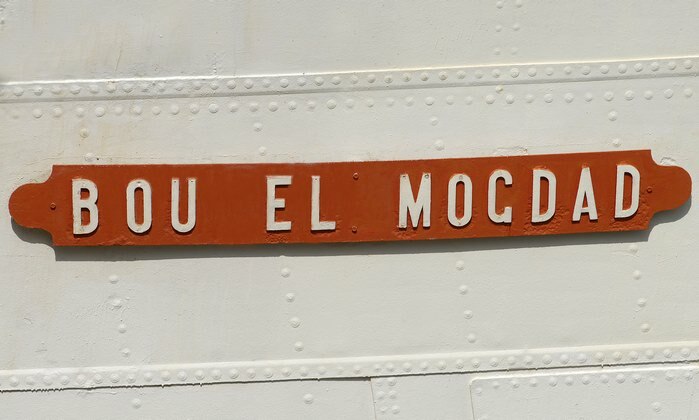 In 1975, Georges Consol buys the Bou el Mogdad and turns it into a tourist boat, as it had been abandoned for a few years along Saint-Louis quays. 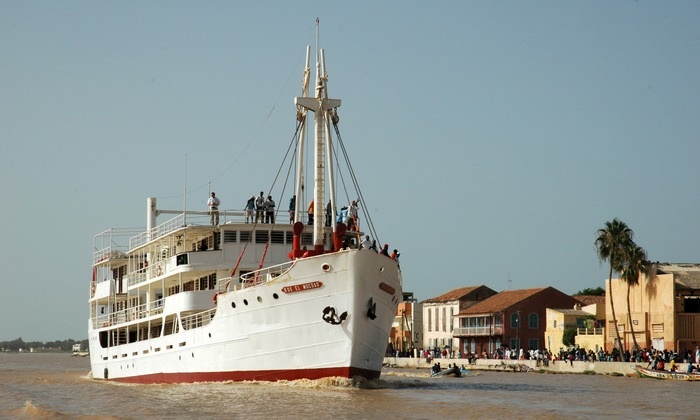 In 1980 the boat goes on cruises between Saint-Louis and Podor and then leaves the River Senegal in 1982 because of the construction of the Diama dam. 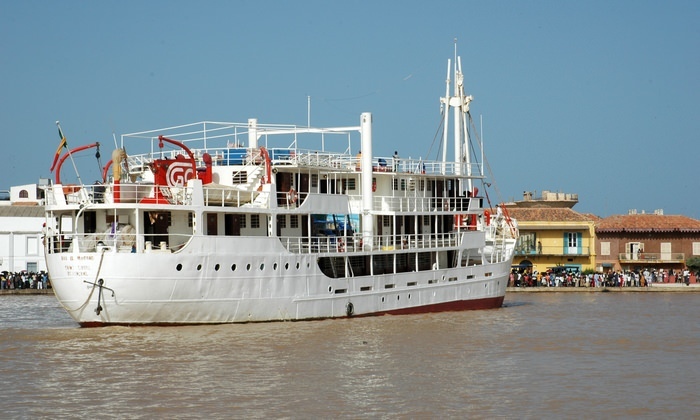 It then starts a few cruises in Casamance and in Sierra Leone afterwards on the river Kono, but also in Guinea-Bissau and in the Sine Saloum. 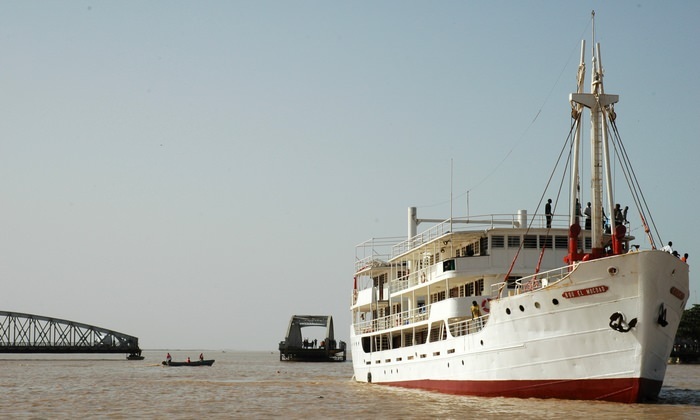 Many years pass as the boat can’t see its dear river Senegal region. But in 2005 Jean-Jacques Bancal and his partners decide to buy this boat and to bring it back to its native land. That is how the Bou el Mogdad has come back after the long awaited opening of the Faidherbe Bridge in Saint-Louis that hadn’t been operated for 20 years! 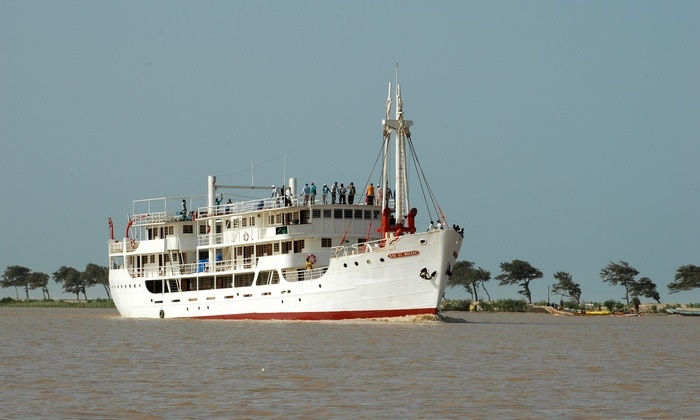 The return of the so-called Bouel after a 300km-long voyage, represented a real event for all the inhabitants of the river region. On November 7th 2005, the maiden voyage is set up. And the boat has been sailing on the river every week since then, from October to May.